ENJOY SLEEPING TO THE SOUND OF THE BABBLING CREEK AND WAKING UP TO THE AMAZING VIEWS ON THE HISTORICAL PEACE RIVER. 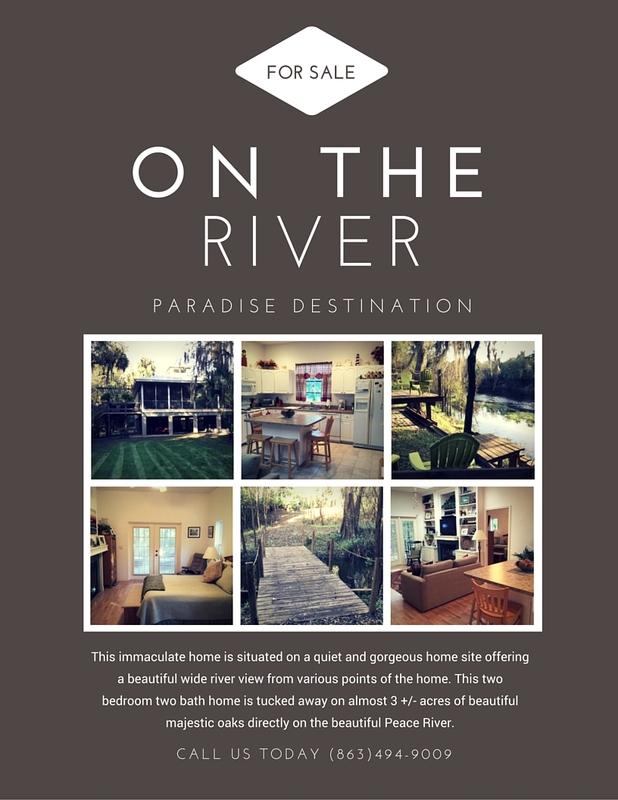 This two bedroom two bath river front home is tucked away on almost 3 +/- acres of beautiful majestic oaks. As you enter your own gated entrance with your winding private drive you will be in love at first sight with this STUNNING RECREATIONAL PARADISE DESTINATION. The charm and elegance of this RIVERFRONT SOUTHERN ESTATE HOME is everyone's dream beginning with the open floor plan with a lovely fireplace in the family room and the master suite to offer warmth and coziness on our cool winter nights, grand kitchen with island bar with plenty of storage and cabinets, three sets of French doors opening out onto your huge open screened lanai to enjoy the deer grazing along the creek and your morning coffee. As you take your stroll to the river, you will be intrigued by the wooden bridges, the dock overlooking the river, your own boat/canoe lift, steps down the bank so you can enjoy swimming, fishing, fossil hunting, canoeing, and boating. EVERY SUNSET OVER THE RIVER IS A MASTERPIECE TO BE ENJOYED AND I INVITE YOU TO DISCOVER THIS MASTERPIECE, PEACEFULNESS, PRIVACY AND FREEDOM TODAY.